Keeping up with the latest research is important for the data scientist so let's work on this together. Each week or two, we will choose one or more articles to read and meet up to discuss them. This group is open to data scientists of any experience level and speciality but I expect the core group will be relatively small. I hope you are as excited about data science, machine learning, and statistics research as I am, and I look forward to meeting you! This is a variety of the Silicon Valley Data Science Journal Club and we will be closely following the pages that they read. 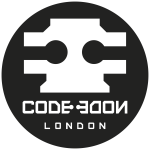 At this meetup, we'll be having a look at a relatively new addition to the deep-learning toolkit: CoordConv. The approach works by adding the coordinates of pixels and feature maps to the network layers. Recent progress on homomorphic encryption allows us to leverage it for machine learning. There are two options: either applying a trained model to encrypted data or to encrypt your model and send it to the owner of the data for inference. In many cases, understanding how models make their predictions is as important as the accuracy of their predictions. As models get more complex, various tools such as LIME and DeepLift have been developed to help users interpret the computations of their models. Causal inference has seen a resurgence of interest from the machine learning community. This interest has arisen alongside some controversial criticism of deep learning, with recent developments in the field having been likened to “alchemy”  or mere “curve fitting” . This session we will be looking at chapters 3 and 4 from the PhD thesis 'Uncertainty in Deep Learning' by Yarin Gal (2016). Are you interested in learning different techniques for working with imbalanced datasets? Don't miss this month's LDSJC! Don't miss this month's LDSJC where we'll be learning more about LightGBM! Check it out.